It took a season-long for the Hillcats 12 innings but theirgame against the Pelicans finally ended on a walk-off walk, Myrtle Beachwinning 3-2. Joey Terdoslavich went 4-for-6 in the ball game, crushing his 50th double of the season in the third inning. He is now just one double away fromtying the all-time Carolina League single season record. Lynchburg led early scoring two runs in the second. JoeLeonard reached on an error. Shawn McGill then drew a walk. With runners atfirst and second Marcus Lemon put down a sacrifice bunt to third base. JimmySwift fielded and threw the ball away at first, Leonard scored, McGill went tothird, and Lemon advanced to second. Barrett Kleinknecht drove in McGill with asacrifice fly to left field. The Hillcats without the benefit of a hit in theframe scored a pair and led 2-0. Despite tallying 12 hits in the other 11 innings, the ‘Catswould not score the rest of the game. Even with three hits coming in the 10thinning alone, the Hillcats stranded the bases loaded and failed to score. Meanwhile the Pelicans’ offense consisted of one man. MikeOlt went deep twice in the ball game. He hit a solo shot in the fourth inningand another in the seventh inning. Both came off starter David Hale. Hale went eight innings, gave up just two runs on six hits,while striking out five but took a no-decision as the game went to extras tied2-2. The 10th and 11th innings wentscoreless, as did the Lynchburg half of the 12th. RHP Mark Lamm came back out to pitch the bottom of the 12thfor the Hillcats, looking to complete his fourth inning of relief. He struckout the first two batters but Santiago would not let Myrtle go quietly into the13th. He doubled with two outs, and that was the beginning of theend. Lamm then intentionally walked Travis Adair a left-handed batter to get tothe right-handed Jared Prince. Prince also drew a walk of the unintentionalvariety. That loaded the bases and Lamm left the game. LHP Matt Crim entered to face left-handed batter AndrewClark. Clark worked the count full before taking a fastball in the dirt for ballfour and the Pelicans won 3-2. Lynchburg fell in the finale but took the series2-1. Joseph Ortiz (5-5) earned the win with three scorelessinnings of relief. 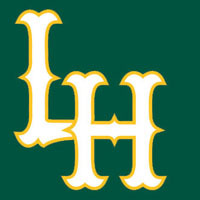 Lamm (1-2) suffered the loss for Lycnhburg. The Hilcats are now 27-32 in the second half, still fivegames back of the Potomac Nationals for a playoff spot with just 10 games left. Lynchburg travels to Kinston next to take on the Indians ina three-game set. Game one is scheduled for 6:30 pm Friday night. RHP CalebBrewer (1-0) will start for the Hillcats against RHP Clayton Cook (8-8) forKinston.